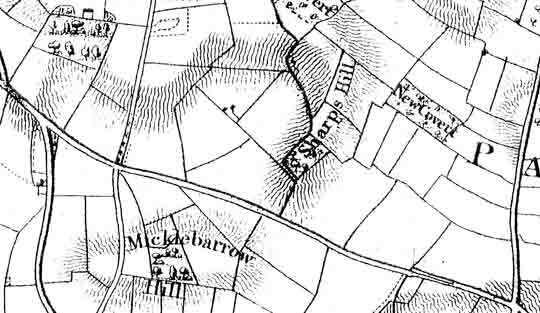 From old maps of the area its clear that Sharphill Wood is not ancient. The Chapman chart of 1774 does not show any trees there at all, although this might be because we’re reading the map too literally. A hundred and eighty years ago the wood was called “Sharps Wood”. The Sanderson map of 1835 shows the Loughborough Turnpike road, now the A60, but only a scattering of trees. One of them is called ‘Hill Covert’ which suggests it was set aside for fox hunting. 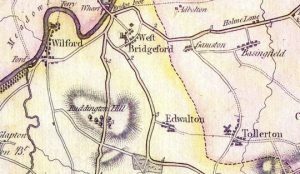 (Notes) There is a web site that mentions several stories about Wilford Hill during the Civil War. – To be written !